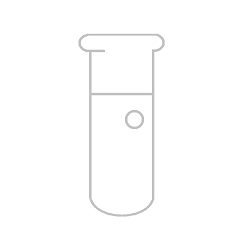 Ready-to-use 2.5% heat-treated normal horse serum intended for use in IHC, ICC, or IF to prevent background associated with non-specific protein binding, or to be used as an antibody diluent. Features: - 50 ml Unit Size - Ready-to use 2.5% solution (v/v) in buffer with 0.08% sodium azide as preservative - Can be used for blocking non-specific binding or as an antibody diluent (such as with secondary antibodies raised in horse) - Pooled samples collected from healthy adult animals - Tested with appropriate antibody to check for possible cross-reactivities - Heat-treated and centrifuged to remove precipitates and then filtered - Manufactured within the United States Applications: - Immunohistochemistry - Immunocytochemistry - Immunofluorescence Details: This 2.5% horse serum is supplied ready-to use. It is a pooled sample collected from multiple healthy adult animals that has been heat-treated at 56°C for 2 hours, allowed to remain at 4°C for several weeks, centrifuged to remove precipitates and filtered through a 0.45 µm filter. The serum is then diluted to 2.5% (v/v) in buffer containing 0.08% sodium azide.